Touchcraft exhibited the e-textiles memory blanket made by local makers at the Helston Makes It! exhibition. 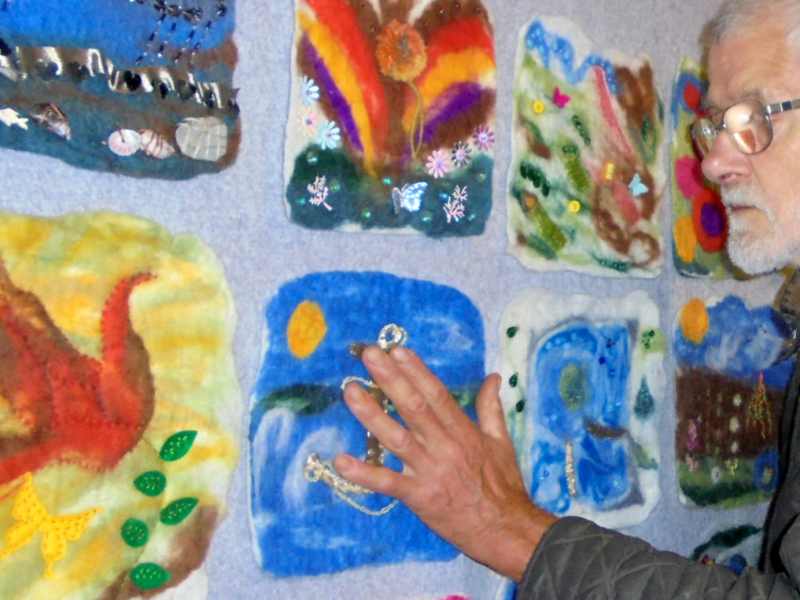 The work was well received and visitors enjoyed listening to the stories and memories recorded with the Helston Craft group. However, the work suffered from some minor technical issues relating to glitches in the raspberry pi setup. The soft circuit is fragile and easily broken and we had to fix a soldered connection at least once!